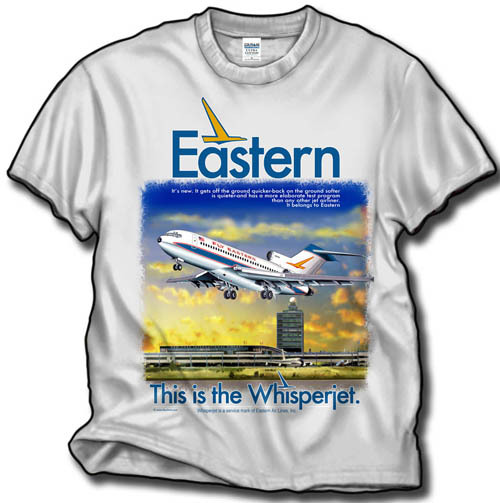 After thirty some years of doing serious Airline T-Shirts, we decided to to do a FUN shirt for the 2015 ATL Airliner show this past summer. 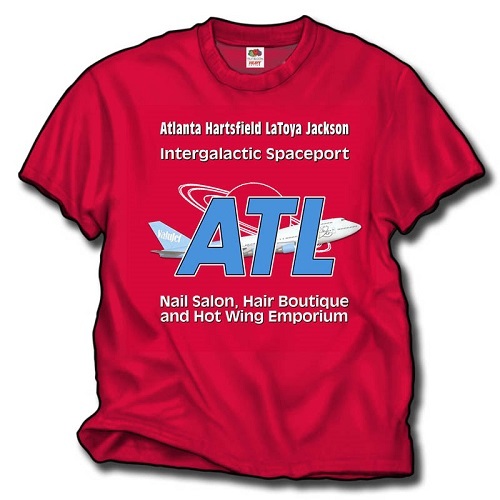 Here's the ATL LaToya Jackson InterGalactic Airport, Nail Salon, Hair Boutique and Hot Wing Emporium shirt, with a ValuJet 747 as the background! On a Red shirt, but we have a few left in Blue and Grey in Large and XL. 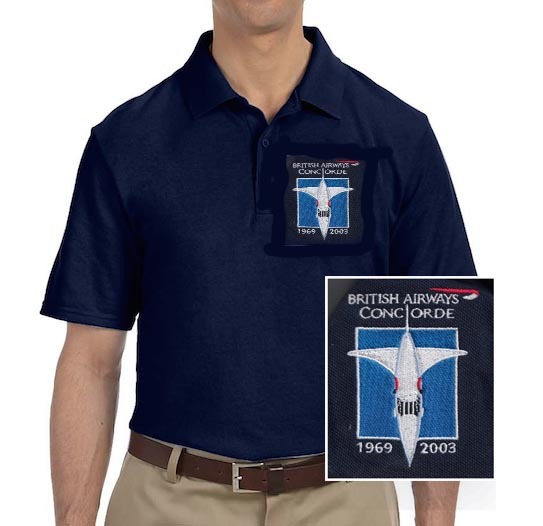 These shirts are at a great price, but be careful, this shirt will draw attention! Have you checked in at the ATL Spaceport on Facebook yet?